View Cart “Boston Marathon: How to Qualify, 3rd Edition” has been added to your cart. Acrobatics for Children & Teenagers teaches the experience, the biomechanics, the exercises, the performances and the how-to’s of acrobatics. Acrobatics are exciting to both children and teenagers alike. It challenges them to risk their equilibrium together and build human formations. Acrobatics also requires young people to keep the team spirit and cooperate with each other. Many of the spectacular human pyramids and partner balances are easy to learn and considerable progress can be made in a short period of time. Categories: Acrobatics, Sports & Recreation. Tags: acrobatics, children, team spirit, teenagers. Acrobatics for Children & Teenagers teaches the experience, the biomechanics, the exercises, the performances and the how-to’s of acrobatics. Acrobatics are exciting to both children and teenagers alike. It challenges them to risk their equilibrium together and build human formations. It also requires young people to keep the team spirit and cooperate with each other. Many of the spectacular human pyramids and partner balances are easy to learn and considerable progress. They can be made in a short period of time. Acrobatics for Children & Teenagers provides a vivid and informative description of the principles of partner acrobatics with children and teens. It also offers suggestions on how to begin and how to design meaningful training sessions. It gives different options for the structuring of performances. The practical portion of this book introduces simple acrobatic formations. These constructions have been tried and tested. The individual chapters include detailed written and visual descriptions of the many different techniques. You will see how to create a pyramid building, fantasy formations, dynamic elements and elegant partner formations. Acrobatics is considered a movement art with a long tradition and evolutionary history. The term acrobatics stems from the Greek word “akrobates”, which actually means “one walking on his toes” and originally referred to a tightrope walker. 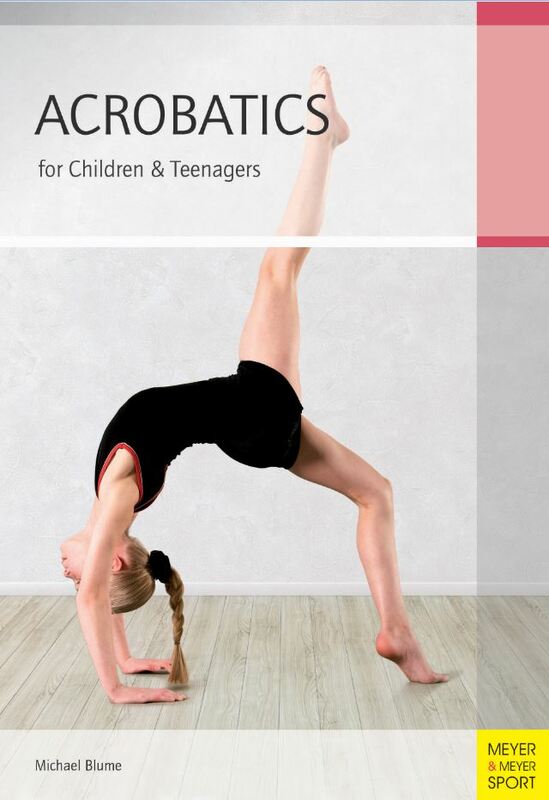 Acrobatics for Children & Teenagers is packed full of helpful and interesting information for the young student. Since college, Michael Blume has been involved in the theoretical and practical aspects of acrobatics. He taught physical education, history, and drama at Rudolf Steiner School. He also worked as an assistant professor of sports at Bremen University. As a teacher of acrobatics and theater at the School for Clowns and Acrobats in Viby, Denmark, he collaborated on establishing a venue for professional acrobat training. He currently teaches sports and education at VIA University in Denmark. I’m in the team can you come and watch me play? If you will be sitting by a cricket pitch this summer, mystified by the antics on the field in front of you, Cricket Made Simple is the book for you. Not only will it help to explain what is going on from the spectator s viewpoint, it will also raise you several notches in your loved one’s esteem. As a coach, you know that you are constantly looking for tools and resources to improve your craft. Whether it’s training programs or team management, you are on the lookout for the right materials and information to aid you as a coach. The new book from Meyer & Meyer Sport, Coaching a Season of Significance was written by an experienced youth and high school soccer coach for other soccer coaches. This book takes you from the beginning of the season by helping you with organizing, setting goals in addition to holding pre-season meetings. Back on Track is Fiona Ford’s story. She was no stranger to endurance. She raced seven Ironman® distance events and was used to long and hard training routines and grueling workout schedules. But nothing could have prepared her for the greatest challenge of her life.